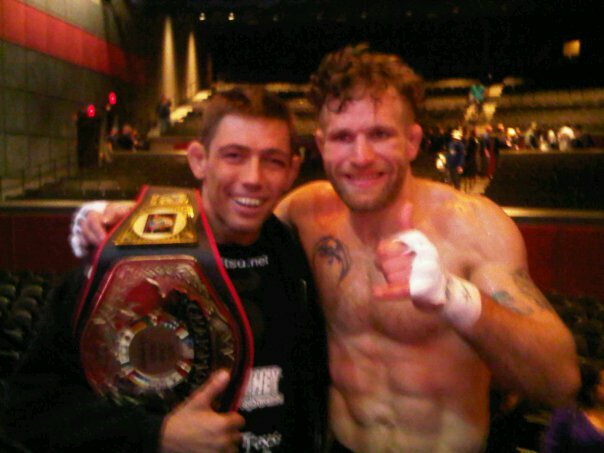 Matt Horwich (right), with Joe Christopher, who won the XFN welterweight title that night. Legends MMA’s favorite metaphysician, Matt Horwich, upset local favorite Jake Rosholt at November 12th’s “Xtreme Fight Night” at The Joint at Hard Rock Hotel & Casino in Tulsa, defeating the three-time NCAA champion in the third round by TKO due to strikes. “I lost the first round. . . .My game plan was to come back strong the second round. I won that round, finished him in the third round by TKO. So I was thankful the fight went beautiful. It was kind of like a rope-a-dope in the first round, except it was on the ground, so I guess I’ll call it a ground-a-dope,” joked the ever-optimistic Horwich. By all accounts, Roshalt’s two takedowns and ground-and-pound in the first secured him the round. Horwich tried to secure a footlock and wear his opponent’s cardio out. Seemingly, the slow-burn worked, as Horwich took over in the second, taking Rosholt’s back and implementing his own offensive of punches and rear naked choke attempt. Rosholt escaped, reversed, and went for a guillotine choke, but sure enough, Horwich had his own escape, moving to side control and forcing more ground-and-pound action to round’s end. Round three saw another Rosholt takedown and Horwich reversal, respectively, before they were back to their feet. Finally, Horwich scored his own takedown, mounted Rosholt’s back, and threw punches at will until the referee called for the end. “When he came back [after the first round], what I told him was that [Rosholt] put a lot of energy into that round, and let’s just make him work everywhere. I want him to work everywhere that he’s at. I want him to have to worry about something everywhere. And Matt just put it to him,” said Brady. For the reigning Powerhouse World Promotions champion, match result wasn’t just an exercise in redemption, but also in the power of positivity. Oklahoma itself was a welcome trip for both fighter and corner, however, as both share an affinity and reverence for Native American culture and spirituality. “When I found out we were going to an Indian reservation, I was kind of excited. You can definitely feel it in the air and in the land. It’s a special place,” said Brady. “We hung out with some Comanches after the fight, because one of them fought. It was a beautiful experience and cool memory,” added Horwich. As if a weekend win in the Sooner State wasn’t enough good news, Horwich also is close to signing a three-fight deal with the Palace Fighting Championships, located at the Tachi Palace Hotel and Casino in Lemoore. PFC has hosted a who’s who of top-tier free agent fighters, such as Razor Rob McCullough, John Alessio, James ‘Sandman’ Irvin, Ulysses Gomez, and even Legends’ alum Jorge Oliveira. Horwich expects to make his PFC debut in February 2011. “I had it on the back of my shirt when I walked into the ring. But the Lion of God part wasn’t on it . . . that would have been a lot of money for the printing. Especially if I had Limit Smasher in it too,” he explained deadpan. The victory also continues Brady’s consecutive string of wins as a chief second. The bantamweight fighter first took the cornerman reins in August, at Combat Fight League, helping teammates Alan Jouban and Eugene Marenya win. In October, Brady supported Garren Smith in his return to the cage after a 10-month hiatus. 185 lbs. 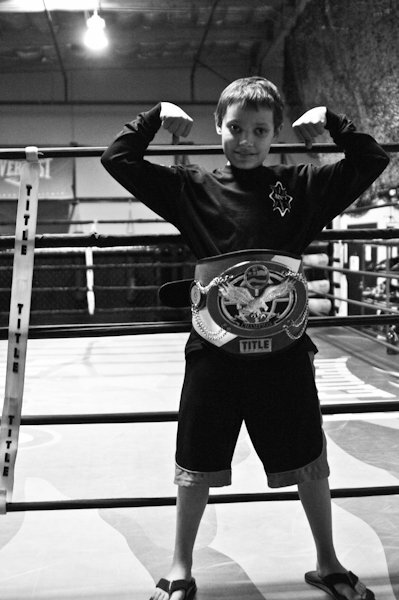 Amateur MMA – Andrew Todhunter def. Jazz Pierce via submission (triangle choke), R1, 1:36. 155 lbs. 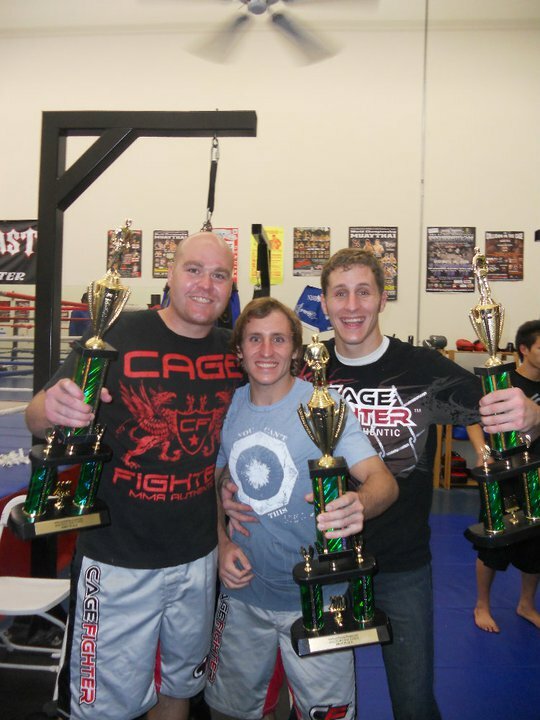 Amateur MMA – Brandon McDougal def. James Warren via unanimous decision. 175 lbs. Amateur MMA – Jesse Chaffin def. Wes Long via TKO, R2. 122 lbs. Female Boxing – Chelsea Colarelli def. Jasmine Simmons via TKO / refuse to answer the bell, R2. 160 lbs. 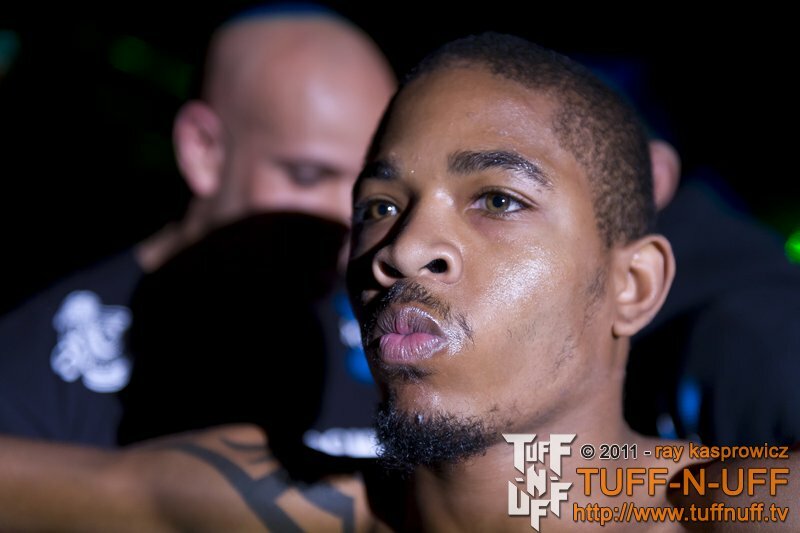 Amateur MMA – Charles Wright def. Johnny Wester via unanimous decision. 190 lbs. 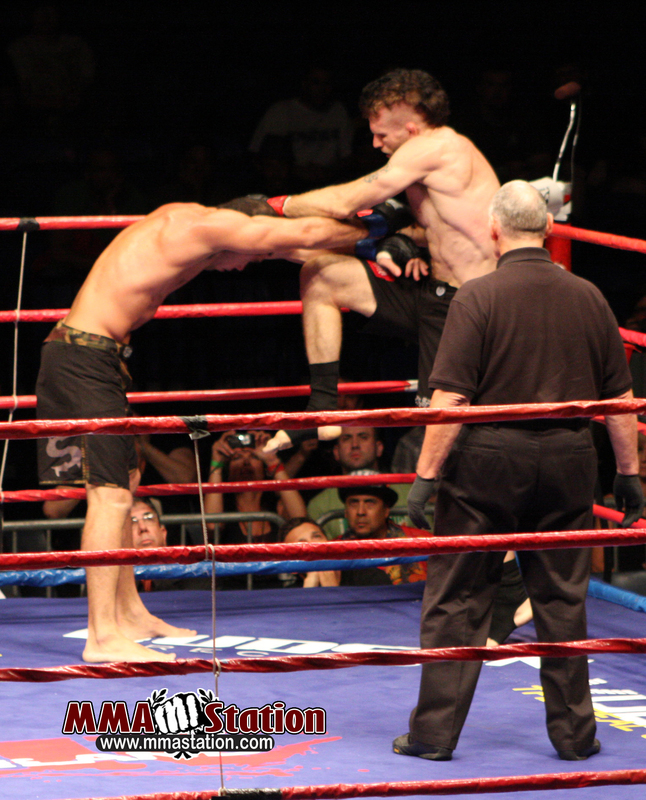 MMA – Trey Houston def. Brandon Lyons via submission (armbar), R1, 0:44. 170 lbs. Boxing – Codale Ford def. David Taylor via unanimous decision. XFN 145 lbs. Championship – Nate Murdock def. Josh Pulsifer via TKO, R1. 205 lbs. 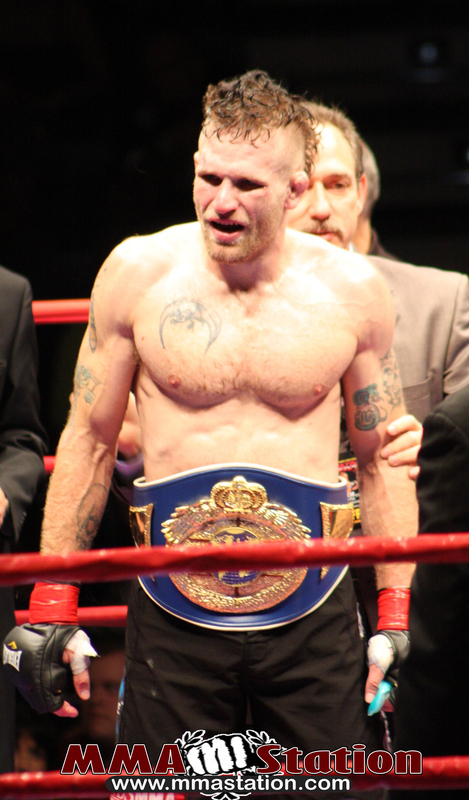 Kickboxing – Randy Blake def. Ruben Zammaron via TKO, R3. XFN 170 lbs. Championship – Joe Christopher def. 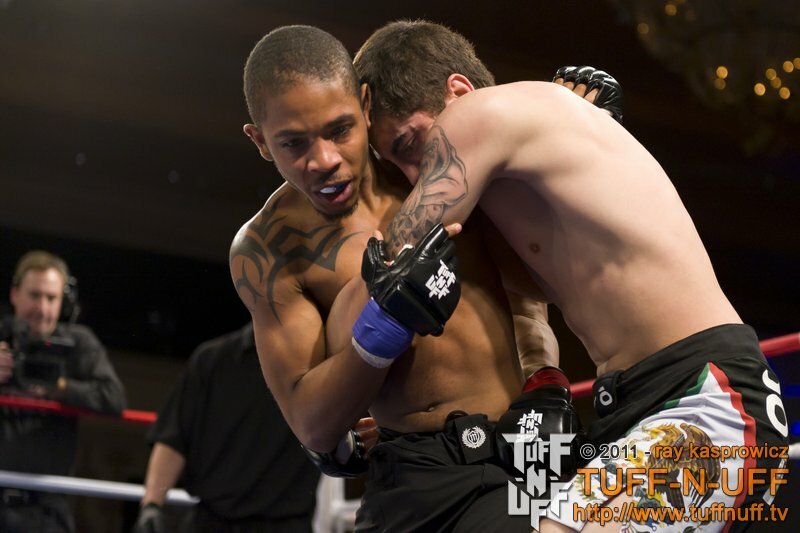 Levi Avera via submission (arm triangle), R3. 168 lbs. Boxing – George Tahdooahnippah def. Steve Warren via TKO, R2. Special thanks to Dwayne Davis of the Urban Tulsa Weekly for assistance with the event results. 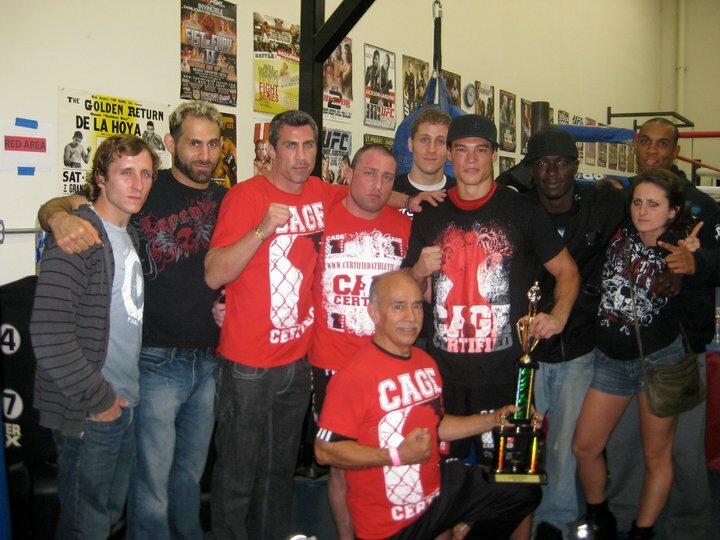 The combined Legends MMA - Bond Squad MMA team went undefeated at CFL's Halloween Fight Fest in Oxnard. The treats came a day early for Chris Reilly and Amir Rahnavardi’s four-man squad over Halloween weekend, as amateur fighters from Legends MMA and Bond Squad MMA swept Combat Fight League’s ‘Halloween Fight Fest’ on October 30th at West Coast Jiu Jitsu in Oxnard, CA. Reilly and Rahnavardi brought Bond Squad brothers ‘Pistol Pete’ and Andrew ‘Worst Case Scenario’ Mostowa, protégés of Rahnavardi’s, along with Legends MMA’s Dustin Mueller and Alan Jouban. Mueller and Peter walked away with decision victories, while Jouban and Andrew both finished their opponents in late in the first round. “Everybody did real well. My brother’s fight went real well. Probably as good as anyone could have guessed or wanted it to go. Dustin, his fight, he did a lot of good things in it. And then Alan, he’s undefeated . . . that sort of keeps that ball rolling. With us all winning, it just made it a great night,” said Pistol Pete. “Just knowing that they’re Amir’s guys, you feel like you’re part of the same team. Because Amir is just everybody’s boy. 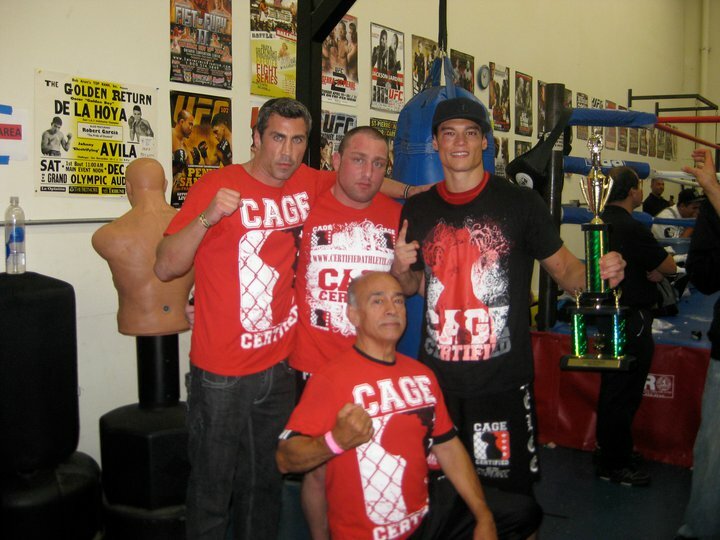 It’s camaraderie,” Jouban said of his teammates for the night. As one part of the main event, Jouban wasn’t able to watch their matches until seeing video footage after the event, but their continual victories throughout the night helped keep his spirits high and focused during his warm-up backstage. 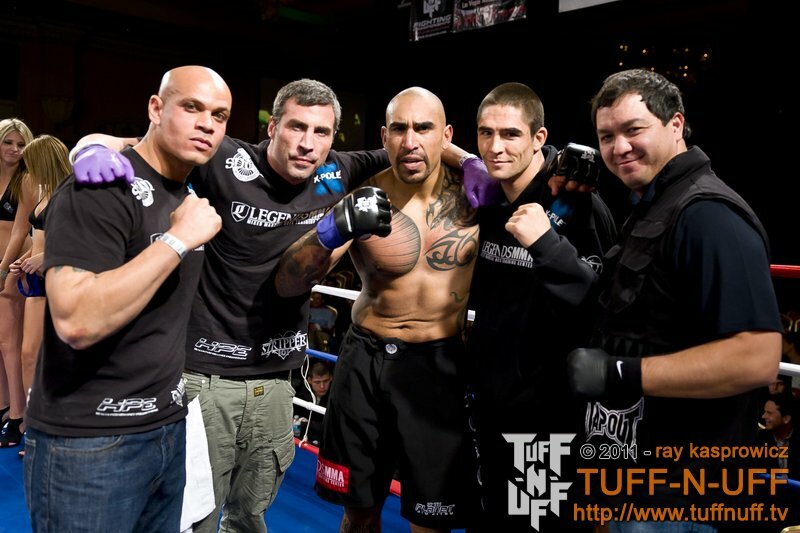 Pistol Pete’s previous match, at the first Combat Fight League event, was a lopsided affair in which West Coast Fight Academy favorite Francisco “Turtle” Estrada overwhelmed the then-debuting young gun. In this return match, however, Pete was more composed and relaxed. Sanchez caught Pete with several shots and a takedown early in the first round. After some scrapping, Pete ended up on bottom and worked to set up a triangle or armbar. When Sanchez stood up, Pete slapped on a tight kneebar which had Sanchez close to tapping. Round two saw similar action. Pete had a mount on Sanchez, who flipped him over. Pete was able to set up an oma plata, but was too crowded against the cage to finish. Round three showcased both men’s stand-up skills. Pete pushed Sanchez against the cage and landed several knees before round’s end. Judges awarded Pete Mostowa the victory by split decision. “It was a real close match that went back and forth, and because I was working the whole time for submissions and the positions I was in, I was trying to get the better position and do something . . . That’s when the judges kind of saw that and gave me the decision,” theorized Pete. “Peter’s a really good fighter. He’s really complete. . . His last fight didn’t get him much experience. So this fight . . . he learned a lot,” noted Rahnavardi. Though he came in with a significant height and reach advantage, Mueller went through several opponent changes, and subsequent weight class changes, which took its toll on his cardio reserves. After his initial fight (at light heavyweight) fell through, Mueller got booked for a heavyweight scrap, and subsequently started to add weight. However, one week before the fight, his light heavyweight match was back on, forcing Mueller to cut 15 pounds in a week, with no prior weight-cutting experience. “I learned a lot about my body and my whole self. Because I never got to really cut weight. I just felt weak. It was a weird feeling. But thank God that I won. The next fight will be a lot different for me, for sure,” he said in retrospect. Elias almost immediately shot in early in round one. He caught a knee from Mueller and used it to score a takedown. Elias stacked himself over Mueller on the ground and threw rights, trying to pass guard, but Mueller kept control of Elias’ head and set up an armbar. Mueller flipped over, but Elias stayed on him and threw headshots from behind. Mueller managed to pop his head out the back door, but Elias scrambled and sunk in a guillotine choke, stuffing Mueller in the corner and taking his back as the round ended. Round two saw Mueller keep the match on the feet for the most part, throwing sporadic combinations. Mueller pushed Elias against the cage with lefts and rights. Elias charged for a double-leg takedown and got it, but Mueller transitioned out to side control near round’s end. Round three saw Mueller kept control of the center of the cage and pressure Elias with combos. Elias went for another takedown and eventually took Mueller’s back, but Mueller flipped him over and threw rights from front facelock top position to the end of the match. Judges awarded Dustin Mueller the victory by unanimous decision on scores of 29-28. “Dustin’s married, and he’s got three kids, and he’s got a full-time job. So he’s one of those full weekend warriors. But he did good. He’s the guy that came to Legends when I first started teaching, and he knew nothing. And he was a fat guy, so how far he’s come, I’m so proud,” said Rahnavardi. 185 lbs. – Andrew Mostowa (Bond Squad MMA) def. 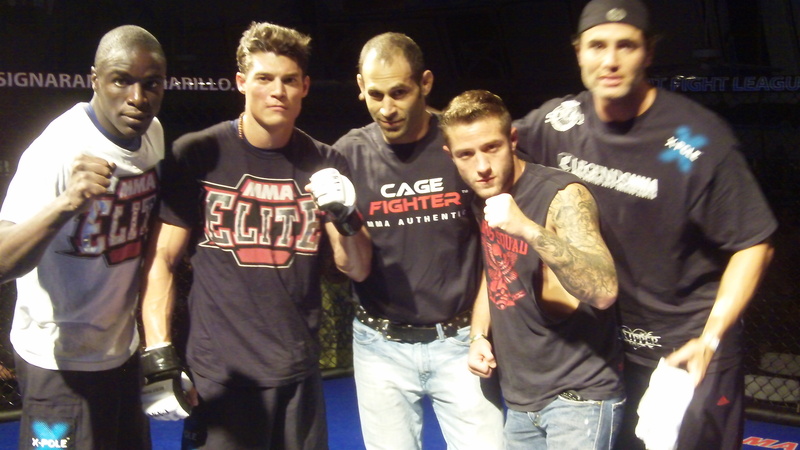 Bobby Fiscer (TapouT Fight Team) via TKO, R1, 1:34. The younger Mostowa brother came on strong and kept the pressure on Fiscer with combos and several low kicks. He forced Fiscer against the cage and threw knees until Fiscer went to the ground. Andrew stayed on him with ground and pound until the referee called the match at 1:34 of the first round, awarding the man they call ‘Worst Case Scenario’ with the TKO victory. 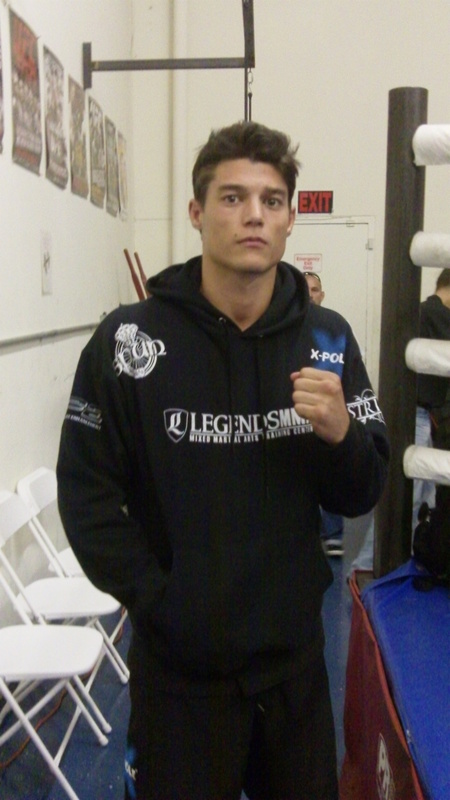 Gudino made first contact with several low kicks as Jouban took his time. Gudino got Jouban against the cage, but Jouban clinched and walked into him, getting a trip takedown. Jouban kept top control with a full mount, landing a few lefts. Gudino got to his feet briefly, but Jouban took him down again with a highlight reel belly-to-back slam. Jouban got full mount, but Gudino quickly swept him and landed in guard. Jouban switched to butterfly guard and set up the gogo plata. Gudino tapped moments later, at 1:57 of the first round. For Jouban, this match represented a big personal accomplishment, and even something of a possible graduation to the pro ranks, a move which is supported by his head trainer, Chris Reilly. Earlier this year, Jouban set the goal of fighting five times before 2011, and not only hit that mark with the Gudino match, but went undefeated in dominating fashion, winning four times via first-round finish, twice by gogo plata submission. “I didn’t know if I was gonna really be able to obtain that goal. Before I was averaging maybe one or two a year, because of injuries and whatnot. . . It’s kind of played out that way, so I’m extremely thrilled. If I can get my pro fight in before the next year, it would really complete what I wanted to do, starting at the beginning of this year,” he reflected. To win via gogo plata in an MMA match is rare. To do it twice is almost lightning in a bottle. Ironically, Jouban had intended to keep it a striking match, after his opportunity to make his pro debut a Muay Thai match in Thailand fell through. 135 lbs. – Benji Gomez def. Jaime Leon Hernandez via decision. 155 lbs. 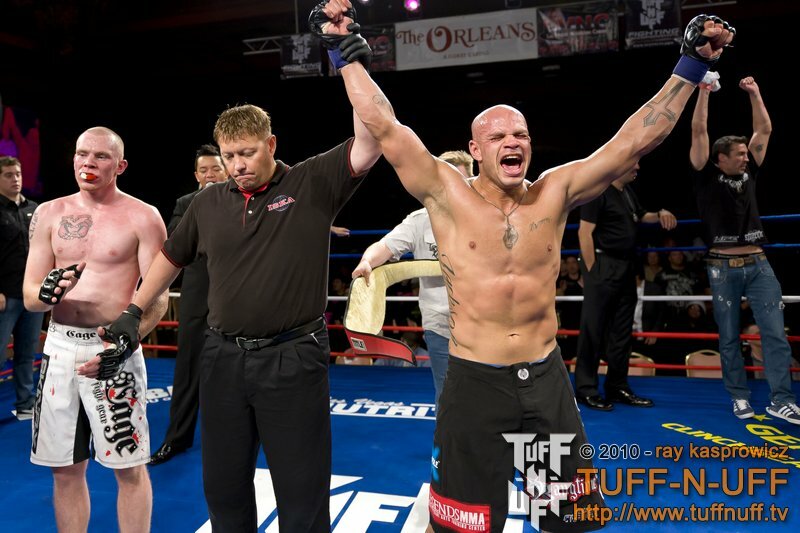 – Nathan Speer def. William BJ Ingram via submission, R1, 1:57. 185 lbs. – Mike Jasper def. Joshua Ramirez via TKO, R2, 1:55. 135 lbs. – Michael Castanon def. Juan Estrada via split decision. 155 lbs. Female – Samantha Mosqueda def. Hayden Munoz via decision. 185 lbs. – Mose Aieti def. Anton Torres via decision. Combat Fight League returns on December 2nd with an amateur show at the Westlake Hyatt. Both Mostowa brothers expect to return to action on that show. Legends MMA is sponsored by X-Pole. Christian Palencia and Gio Zavala, who advance in the first annual CAMO (California Amateur MMA Organization) state tournament, shine brightly as the two stars of an otherwise difficult weekend for Legends MMA. The event took place on September 11th at Siren Studios in Hollywood, under the Total Fighting Alliance (TFA) banner. Palencia and Zavala were two of six Legends fighters scheduled to enter the tournament. The other entrants were Chris “Blvd” Brady (135 lbs. ), Tommy Gavin (155 lbs. ), Eddie Jackson (170 lbs. ), and Eugene Marenya (170 lbs.). The roster dropped to five when Marenya was forced to withdraw from the tournament due to injury. However, pending a medical clearance, Marenya will be the alternate in the next round of the tournament, scheduled for October 2nd at the Fight Academy in Pasadena. 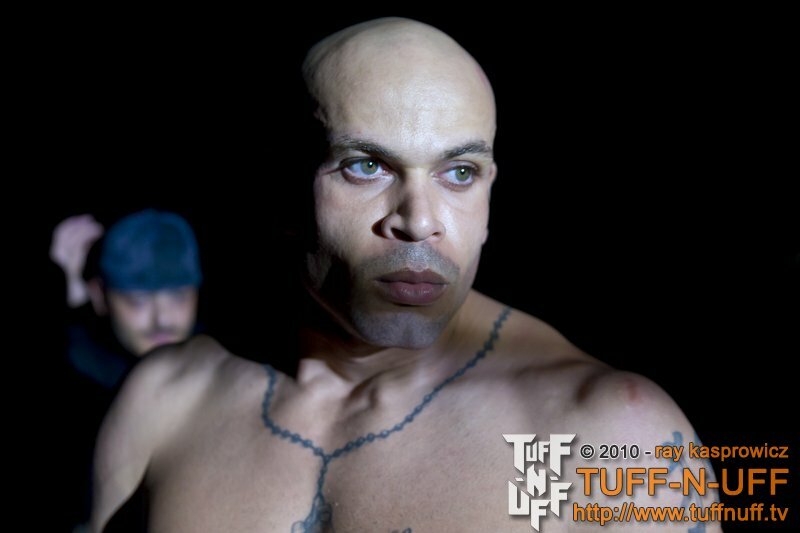 For Zavala, the advance to the next level was bittersweet, as his win came by forfeit after his opponent, Tom Kemp of TapouT, withdrew within minutes of the scheduled fight. According to backstage reports, Kemp was warming up with his trainer, doing some light jiu-jitsu, when he re-aggravated a previous knee injury. The news was beyond disappointing to Zavala, who had one of the largest fan followings in attendance that day. Promoter Todd Meacham brought Zavala out to the cage to explain the situation. On the upside, Zavala automatically advances to the same October 2nd show as Palencia and Marenya. “I just wanted to thank everybody that came out to watch me. I trained for this fight. I’m really sorry. I trained really hard. I know this guy’s a good fighter, but, you know, things happen, man,” said the disheartened light heavyweight. Brady looked to set the pace of the match early with low kicks and combos. Balthazar circled and offered some low kicks of his own, knocking Brady down with a right and clinching up against the cage. Toward the end, Brady shot in for a takedown, but Balthazar caught it and turned it into a trip takedown of his own. The second round saw Brady stay on Balthazar with kicks and combos. Balthazar scored another takedown off a body kick, but opted to keep the fight standing and backed away. They continued to trade low kicks throughout. Brady was quick to press and clinch up in round three, grabbing double overhooks on Balthazar, who turned it into another trip takedown. On the ground, Brady threw punches from “double-bagger” guard before kicking Balthazar off. They clinched on their feet, giving Balthazar the opening to take Brady down again via hiptoss. Brady was immediately back on his feet, but Balthazar then scooped a double-leg takedown. Brady tried to push him back with upkicks, but Balthazar crowded him and threw rights to end the round. Judges awarded the match to Balthazar by split decision, off two scores of 29-28 for Balthazar and one 30-27 score for Brady. Both men sized each other up for a while, with Gavin charging in with pawing shots, that Blancaflor sidestepped. Gavin shot in from afar for a double let takedown and was caught in Blancaflor’s guard. Blancaflor kept control of his neck and closed the guard, sitting up and rolling into top position before Gavin was forced to tap at 1:31 of the first round. Cooper refused to touch gloves at the onset, which got a rousing chorus of boos. Both men were careful to engage at first, as Jackson circled form the outside. Cooper charged in with a combo, throwing Jackson off balance to the ground. 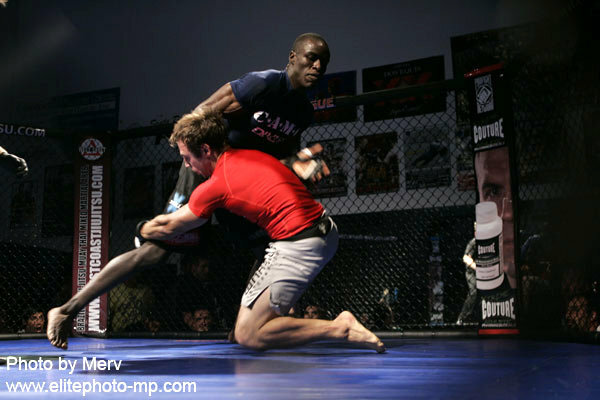 As Jackson got up and reached for a single-leg, Cooper grabbed a guillotine choke and jumped guard. Jackson tried to fight out of it, but was forced to tap out at 1:21 of round one. Palencia fired the first blows with a jab-kick combo, but Watts retaliated with punches that pushed him back to the cage. Palencia came back with a two-punch combo that bounced Watt into the cage, and caught him with another knee as Watts fell to the ground, prompting the referee to immediately stop the action at 0:14. Palencia was awarded the win by TKO. Unfortunately, Legends’ woes continued on two other shows this weekend as well. 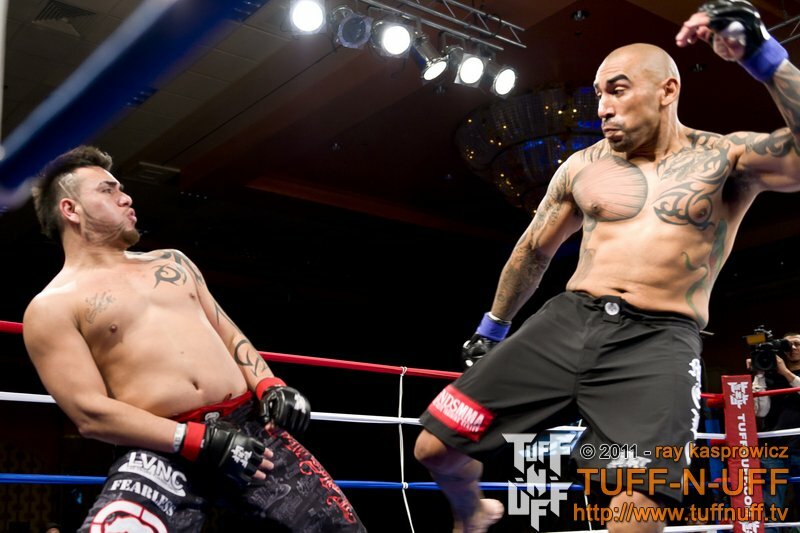 On this same night, in Pueblo, CO, light heavyweight pro Adriano Camolese lost to Eliot “The Fire” Marshall via unanimous decision (29-28 for all three judges) at Bring the Thunder MMA. On Thursday, September 9th, middleweight Matt “Lion of God” Horwich lost a frustrating split decision to Eric Schambari at Bellator 28 in New Orleans, LA on Thursday night. Legends MMA’s resident middleweight metaphysician, Matt ‘The Limit Smasher’ Horwich simultaneously reversed his own polarity and recorded a new milestone for the gym this past weekend, submitting former UFC title contender Thales Leites to become the first Powerhouse World Promotions (PWP) middleweight champion. The event took place on Saturday the 14th, at PWP’s “War on the Mainland” pay-per-view event at the Bren Events Center in Irvine. “It’s a beautiful universe. Thank God for good friends and good victories,” said the newly-crowned champ in the days after the fight. “I just think it puts him on a whole other level, if he can keep it up. Thales has never been submitted. It’s a huge victory,“ added his wife Kelly. Ironically, Horwich was a last-minute replacement for Hawaiian fighter Falaniko Vitale, who withdrew from the event in early August. Anxious to shake off the taint of two recent debatable decision losses to hometown heroes, Jason ‘The Athlete’ MacDonald in Canada and Tom ‘Kong’ Watson in the U.K., respectively, Horwich jumped at the chance to fight in his own backyard. Moreover, the fact that he didn’t need to board an airplane sat just fine with him. . The match itself was largely a back-and-forth ground battle, with Leites taking Horwich down, where both would trade sweeps and transitions for top position until one would escape to his feet. Standing, Horwich pushed the action, stalking Leites with jabs and low kicks, though Leites also had several sweeping low kicks that tripped Horwich on his rear. Matt Horwich connected with knees on Thales Leites. According to head trainer Chris Reilly, beating Leites at the cardio game was a key strategy in the match: “As each minute passed, I saw [Horwich] get stronger and Thales weaken. By the end of the second, I was getting pretty confident. Event after losing the third. I felt good going into the fourth, and it didn’t take long from there,” he said. The second round was Horwich’s, successfully muting Leites top position offense early, and then coming back with a leglock attempt and strong ground-and-pound in the last minute. Leites decisively took the third round with a threatening side choke that he held on Horwich for almost a minute. However, in Reilly’s eyes, surviving that position was in fact the tipping point which swung momentum back in favor of the Legends team. Horwich choked out Leites erly in the fourth round. Indeed, the energy Leites burned on that choke compromised him for the fourth round, where Horwich scored an easy takedown and cinched in a rear naked choke to end the match, and win his third MMA championship, at 0:44. “I felt he was getting tired. . . I’ve been working a lot with Eddie on how to finish it better, squeezing my own leg. Working on squeezing the choke muscles. And then it went under his chin and then I knew it was in. And I was like ‘thank God.’ Then I was going to hold on until the referee pulls me off, because I’ve seen a lot of fights where the guy taps and the ref doesn’t see it,” explained Horwich. For almost any victorious fighter, once his hand is raised, he realizes that journey is the destination. The hard work, training, sacrifice, and discipline all gain mass and resonance, embodied in the win. According to Horwich, it was his spiritual faith that powered that journey, and as such, it was his faith that defined his victory. “The thing is my faith felt better than any fight. I didn’t really have any anxiety or anything. I felt fired up, but not anxious. . . So I was feeling that. Even when the fight got tough, my faith felt good, when I was caught in the side choke. So I think that was a big difference in this fight. . . Like Proverbs teaches us, those who work hard will be leaders and those who are lazy will be slaves. Those who work hard are likely to get what they want in life. Faith is the most important, but you just can’t expect God to do everything for you. You gotta put in the hard work,” said Horwich. “It was an honor to fight Thales. He was really respectful, even afterwards. We saw him when we were leaving and he had the most respect for Matt,” commented Kelly. PWP heavyweight (275 lbs.) championship – Tim Sylvia def. Paul Buentello via TKO, R2, 4:57. 205 lbs. – Terry Martin def. Jorge Ortiz via split decision. PWP light heavyweight (205 lbs.) 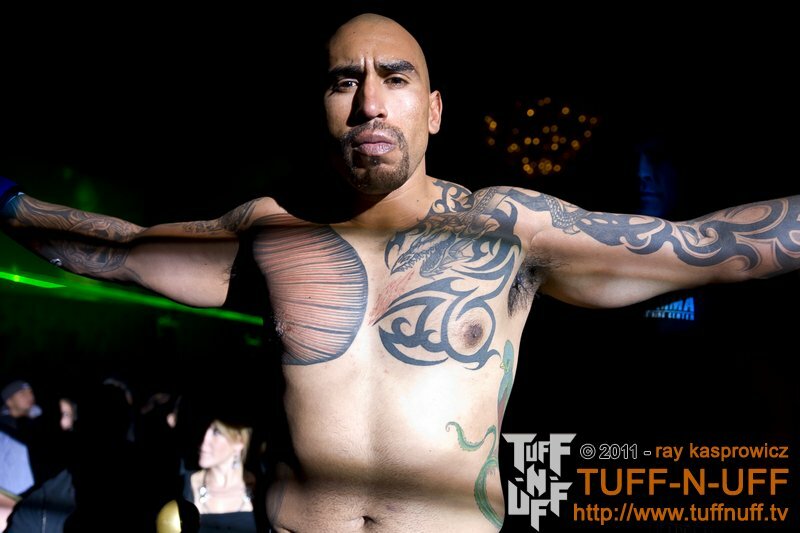 championship – Tony Lopez def. Jason Lambert via KO, R2, 1:49. Erin Beach def. Joao Silva via unanimous decision. Diego Garijo def. Jens Pulver via submission, R1, 1:08. Gustavo Machado def. Rick Reeves via split decision. Cleber Luciano def. Todd Williamson via submission, R2, 3:18. A.J. Matthews def. Sean Choice via TKO, R2, 3:54. PWP has not yet announced a date for their next event. Matt Horwich is sponsored by X-Pole and Melee Fight Gear, with support from Legends MMA and 10th Planet Jiu Jitsu. 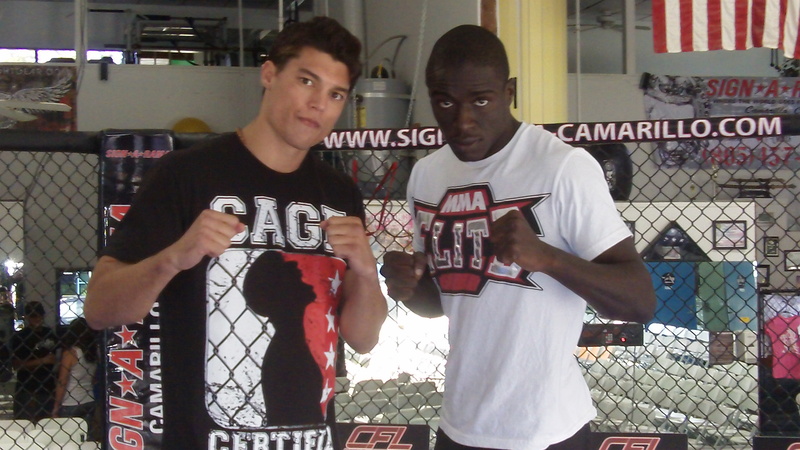 Welterweights Eugene Marenya and Alan Jouban kept Legends MMA’s win streak alive-and-kicking this weekend with a pair of victories at Combat Fight League’s “Ground Zero” amateur MMA event, held at West Coast Jiu Jitsu in Oxnard. In the main event, Jouban was put in the invader’s role, as he faced West Coast Jiu Jitsu’s star Mose Aieti, who has made waves this year in the SoCal amateur MMA scene. However, Jouban proved to have answers for the hometown hero’s questions, winning by unanimous decision. As the winner of what was declared the Match of the Night, Jouban was awarded a Polanti luxury watch. “Tough dude. Good fight. It was a fight that I wanted, too. Because I’d been saying I don’t want a quick finish or anything. I want a war. . . I haven’t been out of the first round in my last three fights. So to get to go to a three-round decision, and to kick a guy in the head and have him come back wanting more, it was good,” commented Jouban after the fight. Marenya, who fought at a 160 lb. catchweight in transition to welterweight, was particularly anxious to get in the cage. He was originally scheduled to fight Anthony Olivas of Bloodbank MMA the week prior, and, ironically, was the main event on that show. However, when rowdy and drunk fans in the crowd started their own fight during the match before Marenya’s, El Monte police and CAMO officials were forced to immediately shut the show down, leaving he and Olivas frustrated and unfulfilled. “I was pissed off last week. And all that built up into this week, and I put it out there in the ring. I did my thang. Did what my coaches told me, and I banged,” said the North Carolina native. Also worthy of note about ‘Ground Zero’ was teammate Chris Brady, taking the cornerman reins for the night, covering for head trainer Chris Reilly. Along with Amir Rahnavardi and 10th Planet brown belt Victor Webster, ‘Boulevard Brady’ was chief second for both Marenya and Jouban. With two successful fights, Brady was praised for his leadership, which, not surprisingly, resembled his longtime mentor’s. Aven spent a good part of the first round working for a takedown, crowding Marenya against the cage and trying a trip, but Marenya fended it off incredibly well, sprawling and stuffing the double-leg shot, quickly escaping when they did finally get to the ground. Marenya opened up with lefts and rights, and then fended off another shot with overhooks and knees. Aven charged and did get Marenya on the ground, peppering him with lefts and taking his back, but Marenya pivoted around and was stacking Aven from above as Aven worked for an armbar as the round ended. Aven was determined to get the takedown in round two, trying to pull in Marenya’s legs against the cage for well over half the round. After breaking apart, Marenya landed a high kick that rocked Aven, who instinctively changed levels and grabbed for a single-leg, which he did score as the round ended. Marenya came alive in the third round, opening with a a low right kic and attacking with lefts and rights to the head, pushing Aven back against the cage until referee Ray Rothfelder stopped the match. Marenya was awarded the victory via TKO. “I’ve been working with a lot of the good wrestlers at the gym. I’ve been working with some of the good jiu jitsu guys. Working on little tricks to defend the takedown. And it paid off,” said Marenya. Alan Jouban was all chill backstage. Aieti was active on the attack, taking Jouban down off a combo and working from inside Jouban’s guard. Jouban muted Aieti’s options by pulling mission control. Aieti tried a short slam to no avail. Once referee Ray Rothfelder stood them up, Jouban landed several Muay Thai knees, kicks, and punches to end the round. Both men were more cautious in engaging in round two, throwing selective kicks before Aieti charged in. But Jouban caught him with two more Muay Thai knees before being taken to the ground, where Aieti kept the fight. In round three, Aieti shot in for a takedown that Jouban caught with a front headlock, slipping in an underhook and several strong knees. Jouban let go and tagged Aieti with a right kick, then charged in with kicks and punches. Aieti dropped Jouban with an overhand right and pounced, but Jouban caught him in a triangle choke that he held to round’s end. Judges awarded Alan Jouban the match via unanimous decision, off scores of 29-28, 29-28, and 30-27. 135 lbs. – Juan Aguilera def. Juan Estrada via TKO, R2. 185 lbs. – JJ Mortimer def. Sid Sidberry via submission, R1. 150 lbs. – Francisco Estrada def. Peter Mostawa via submission, R1. 205 lbs. – John Hernandez def. Jarrod Huggins via KO, R1. 145 lbs. (female) – Ronda Rousey def. Hayden Munoz via submission, R1.